For anyone who owns a Amazon Android device such as an Amazon Fire Phone, Kindle or Fire TV, there is currently a great deal going on for new app or in-app purchases. In addition, any Android device with the Amazon Appstore installed can take advantage of this deal. If you own any of these devices and you purchase apps for them on even a semi-regular basis, this promotion can save you 25% off their regular prices. Amazon is offering a limited time only deal to save $25 when you purchase $100 of Amazon Coins. When you purchase 10,000 Amazon Coins (worth $100 for app store purchases), you save 25% if you act quickly. This is a great deal for those who have devices like the new Fire Phone and know they will be using these credits over time. While all purchases give a discount, by far the best is the $100 worth of credits for $75. This, of course, is only the best deal if you would have spent $100 in the Appstore normally, even without this deal. If you wouldn’t normally spend this amount, then even with the savings it’s not a good deal. One of the important rules in good personal finance is to never spend more to get a discount if you wouldn’t normally spend that amount even without the discount. The current offer is labeled as “limited time only” with no indication of when it will end. For that reason, if you do spend money on a regular basis in the Appstore, it makes sense to quickly act on this offer since it won’t likely be around for a long period of time. 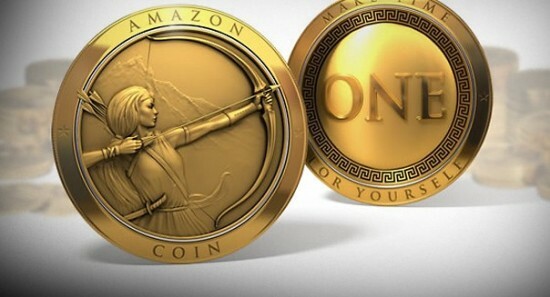 It’s important to note that Amazon Coins can only be used for purchases for products in the Appstore, and they can’t be used to purchase other digital items such as music, movies or digital books. They also can’t be used to purchase physical items from the website. These credits are purely for purchasing apps or in-app purchases for Android devices. For those who already use the Appstore, this is a wonderful deal. For those interested, the deal can be found here. It all started after my mother graduated from college in 1979. With a teaching degree in hand, a student loan to pay off, and a family to support, she began shopping at thrift stores. We had fun those Saturday mornings, going through our community’s small thrift stores. Over time we bought everything we needed: clothes, shoes, towels, dishes, and small appliances. Now as an adult, I continue to shop at thrift stores for my family and myself. Why? Thrift shopping is a great way to make your dollar stretch too. In time, you will discover you love hunting for your needed items and all you can get for a little money. For instance, my lightly used Levi’s 540 jeans were $5.50 a pair at my local second-hand shop. Online – even at an incredible deal – they cost $39.50 for two pairs. This is especially if your teenager is into labels. In addition, brand name clothing can usually be counted on to provide quality fabric and closures, thus increasing the bargain. Check to make sure buttons are intact and snaps work. If you have the skill and time to replace zippers, buttons and snaps, feel free to take the defective garment home. Perhaps you’ll get a discount on the item. Ask and see. It’s no bargain if you get it home and it doesn’t fit. Straight skirts and pants, medium-width lapels, and simple blouses or shirts are easy to find and will look great. Nice school clothes can be found for a few dollars — as well as clothes for the growth spurt later in the school year. If you see something you like for your child, but it’s the next size up, take it! You can store these clothes for later. Most second hand stores won’t have a return policy, and if they do, it’s going to be a very limited one. Be sure you know the store’s policy before you purchase. If you’re not sure you’re in love with an item, leave it at the store. Halloween and autumn items are at the stores around here, and the second-hand shops followed accordingly by offering sweaters, warm pants and light jackets. Shorts and tank tops are in short supply. You can be creative or find a ready-made costume. When shopping for shoes without your child or spouse, draw an outline of his/her feet (with socks on, if that’s how the shoe will be worn) and use that drawing to size the shoe. 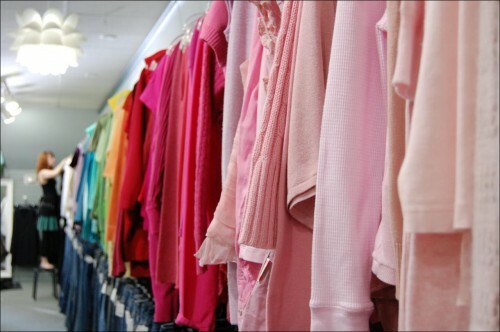 It’s always a great idea to run the clothes through the laundry before adding them to your closets. While the clothes that you buy should be clean, it never hurts to be on the safe side. Finally, you should be proud of the bargains you’ve netted in your second-hand shopping endeavors. You’ll find other people visit second-hand shops too, and soon you’ll be comparing stores and the great bargains you’ve found. Technology has made it much simpler to compare rates and find the cheapest prices for services and products. Why pull out the phone book to call several insurance agents to find the best price when you can visit one website to instantly get the most competitive price quotes? Why settle for paltry interest rates at your local bank when you can take advantage of high rates at banks that operate exclusively online? I say there is good reason. 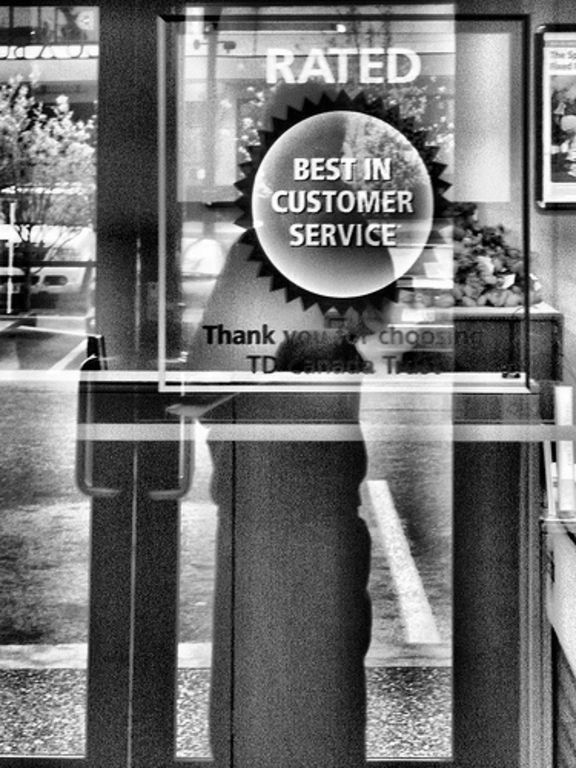 In many situations, price should not be the deciding factor when buying a service or product. Rather, creating relationships with those offering the product or service can reap rewards down the road, even if it means paying a higher price. My wife and her family are mostly responsible for introducing me to this concept, and, while I was skeptical at first, I quickly warmed up to the idea. I had my checking, savings, credit card and brokerage account at a large national bank. I loved the convenience their online interface gave me to track and manage all of these accounts in the same place. And the company had branches and ATMs anywhere I went. My wife, along with everyone in her large family, did all of their banking at a small, local bank. They have very few branches and ATMs, and their online banking is just OK. I was tempted to try to get her to switch to my bank just to maintain the convenience of my consolidated accounts and slick online banking features. But I knew how much faith my wife had in her bank and that she would be more comfortable if we consolidated our accounts there. Despite all the fuss we make about never being able to speak to a human on the phone when calling a company, I was equally hesitant of the thought of dealing with a human while doing my actual banking. So, ditching the online forms I would have usually turned to, my wife dragged me into her bank to get added to her account. Very unexpectedly, we were greeted as soon as we walked in by someone who knew my wife’s first name! Had she put on a name tag before we walked in without me noticing? No, in fact, almost everyone there knew who she was. Several more people came up and asked her how various people in her family were doing. Pretty soon, they started to recognize me on my weekly visits to the bank. There I was, with everyone in the bank gathered around, showing pictures of our newborn daughter from my phone. But it’s not just about being noticed. When the bank needed to update some of our information, we received a personal letter describing exactly what they needed and who to contact. On another occasion, my wife happened to go into the bank one day when some customers’ ATM cards had been compromised (a retailer’s fault, not the bank’s), and since the teller recognized her as someone on a list to notify, she told her in person and began the process of getting a new card. I have had the same experience with our insurance agent. We have his direct email address, which we have used several times for help and to update information. My brother-in-law has a truck he uses only occasionally if he has something to haul, so there is no need to have it insured at all times. If he knows he is going to use it, he can call or email our agent to ask him to insure it for the day or weekend. We get the same friendly and attentive service at our dentist, where my wife’s family has been going forever. When I had a problem with a crown I had fitted, it was fixed with no questions asked, at no charge and I received a handwritten note and a gift card to a restaurant for my inconvenience. I am sure that we could find cheaper insurance if we shopped around and compared prices, and I know I could do my banking with a company that has more ATMs. However, it’s worth it to know that if I ever had a problem with anything, I know exactly who I need to speak with and how to get in touch with them. How many of you have your insurance agent’s direct contact information in your cell phone? I believe that anyone can foster these relationships with everyone from their local barista to their banker. It may take a little more upfront work on your part, and you may pay a little more in the long run. Peace of mind and convenience are also worth something, and the time may come that these relationships pay off if you have an emergency or a problem. Be consistent. Don’t go to the place with the best deal today. Always get your coffee at the same place. A small tip every now and then may help you get noticed and ensure your drink is made exactly the way you like it. You may pay less at the new stand with a grand opening special, but will they know how to make your drink exactly the way you like it? You know you will get what you are paying for. Get your oil changed at the same place every time. There is nothing better than having a mechanic you can trust. They may diagnose a problem or do very minor things for free, and discounts may be offered for larger repairs. Ask what you can expect. Before signing up for new auto insurance, ask how you can contact them in an emergency. If they give you their cell phone number or email address, you know you are on the right track. Steer clear if they refer to the company’s 1-800 number. There is no better way to know what you are getting into and jump start a relationship than getting a referral from a trusted friend, family member or other professional. Make sure that you mention you were referred and who told you about them. You can ask someone who may be in a related field for advice, but make sure a monetary incentive is not the only reason for the referral. That’s not to say a mortgage broker couldn’t offer good advice on a real estate agent, but a friend who was very happy with the sale of their home may be a less biased source. Chasing rates, prices and deals can be great ways to cut month-to-month costs, but building a relationship with those providing essential and sometimes lifesaving services can prove priceless. If you decide to go to WDW this summer and you want to stretch your rebate money (or your own funds) a little further, here are some tips to reduce the costs of a WDW vacation. 1. Do your research before you leave. Disney World is not a small place with just a few options. It’s sheer size and the number of things to do can overwhelm many visitors. If you go to WDW without a clue as to what is going on, you’re going to spend more than you need to simply because you don’t know any better. Pick up a couple of guidebooks from the library and familiarize yourself with the options, offerings, and expenses ahead of time so you know what to expect and can budget accordingly. Two valuable websites for the cost-conscious are Mousesavers.com and Disboards.com. Both offer tips and hints, and the Disboards are free message forums where you can ask your own questions. 3. Learn what discounts are available and how to get them. The websites listed in #1 track the currently available discounts and teach you how to get them. Some of the most common are AAA, Annual Passholder rates, specials for holders of the Disney Visa credit card, and discounted packages that are released to the general public when occupancy needs a boost. It’s not as difficult as it once was to find discounts at WDW, so don’t think you can’t get one. 4. Consider an Annual Pass, even if you’re only going once. Annual passholders are entitled to a variety of food, merchandise, and lodging discounts. Even though the pass may cost you more than a regular ticket, it may pay for itself depending on your party size, length of stay and availability of lodging discounts. Since only one person in your party (an adult) needs to have the pass to get the discounts, it may be worth it to get an annual pass for mom or dad and get regular tickets for everyone else. The websites listed in #1, along with All Ears Net offer advice and break even analyses to help you make this decision. 5. Purchase only the base ticket. 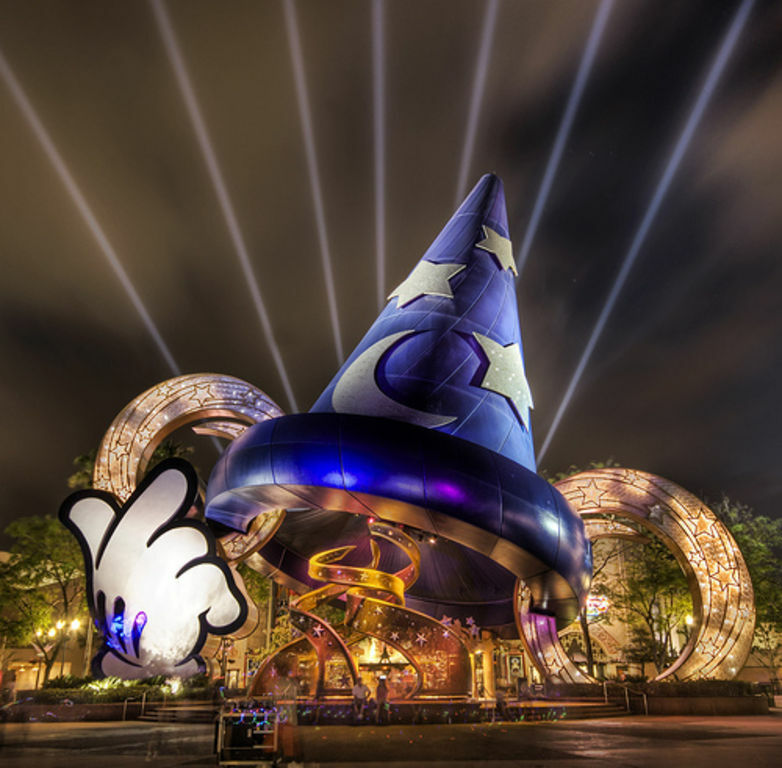 WDW now offers a dizzying array of tickets for varying lengths of stay, with or without options that include admission to the water parks and park hopping. While the extra options are nice, they do add to the overall cost of your tickets. Think about your travel plans and decide if you really need or want those options of if the base ticket will suffice. Also decide if you want to buy tickets only for the length of your planned stay or if you want to go ahead and buy additional days. If you think you’ll ever visit WDW again, buying tickets with more days than you need can be a smart move if you can spare the extra cash. This is because WDW tickets never expire. So if you buy a ten day pass for this trip and only use four days, those remaining six days are good forever and you won’t have to pay anything more to use them, avoiding unpleasant price increases. 6. Pre-buy souvenirs. This is especially helpful if you have kids who will want everything they see in the parks. Buy some Disney merchandise at home before you leave (hit the sales at the Disney Store, or look in Target and Wal-Mart for Disney items) and hand it out to the kiddos during the trip to tame the gimmie monster. They won’t know that it’s not from the parks and you’ll save a fortune. 7. Limit souvenirs. Souvenir expenses seem to creep up on you. You don’t think you’ve spent that much but then, at the end of the trip you get the bill and freak out. Create a plan to limit impulse spending. You can give each person a set amount to spend and let them choose how to spend it, but when it’s gone, it’s gone. Or you can hold off on all purchases until the last day of vacation when certain items are likely to have “risen to the top” as great purchases, thus avoiding all the junk purchases in between. Create your own plan and stick to it. 8. Bring your own water bottles and snacks to the parks. Disney does allow you to bring your own food as long as it’s not excessive. With bottled water going for $3 a bottle, bringing your own and filling it from a water fountain will save a fortune. If you hate the taste of Florida water, buy some individual sized Crystal Light or Kool Aid stir-ins and bring them from home. Also pack your own snacks like granola bars, chips, nuts, etc. You can pack stuff that’s better for you and much less expensive that what you can buy in the parks. 9. Order kids’ meals instead of adult meals at counter service restaurants. Kids’ meals are much cheaper than regular meals and the portions for the kids’ meals are more realistically sized than those for adults. They also include a drink in the price which adult meals do not. 10. Alternatively, split a meal. If you are a moderate eater, you’ll probably find that two people can split a regular sandwich and fry-type combo meal and be satisfied. It saves the money and wasted food of an unnecessary second meal. 11. Share everything. You can order a large drink, which is a better value than the small, and share it amongst your group. It’s cheaper than buying three or four smalls. The same goes for snacks (popcorn, especially) and any other food purchases. Buy one and share. This eliminates wasted food and money. 12. Earn a little Disney money ahead of time. Some Get Paid To sites — notably, Quick Rewards and Sunshine Rewards — offer Disney Dollars and Disney gift cards as cash out options. If you have a while before your trip you can make some extra spending money. Alternatively, you can ask for or give Disney Dollars and gift cards as gifts for Christmas, birthdays, etc. to help defray the cost and give kids some pocket money. 13. Bring as much as you can from home. Everything in the parks is more expensive than at your local store — in some cases a lot more. Make certain to bring enough batteries, medications, film, toiletries, diapers/baby needs, feminine needs, and anything else you might need from home. Otherwise expect to pay top dollar for supplies. 14. Bring your own rain ponchos and fans. If you’re going in the summer, afternoon storms and high temperatures are a certainty. Disney knows this which is why they sell expensive rain ponchos and portable fans for top dollar. You can get inexpensive ponchos and portable fans from Target or Wal-Mart before leaving home. No, they won’t have the Disney characters on them, but they’ll cost you a fraction of the price you’ll pay at WDW. 15. Ship things to your resort ahead of time. If you’re bringing everything you own to avoid paying Disney prices, how do you get it there without paying a fortune in extra baggage costs? Pack a box with your supplies and ship it to your resort ahead of time using UPS, FedEx or DHL. It will be waiting for you upon arrival. If you plan in advance, you can use standard ground service instead of the pricey two day or overnight options. 16. Get your tickets from a reputable discount broker or, at least, buy them online ahead of time. Yes, there are some shady ticket brokers out there and you need to be careful. But two of the best are Undercover Tourist and Ticket Mania. They both sell legitimate WDW tickets at discounted prices. Disney will also cut you a price break if you buy online before you leave home, rather than waiting until you get to the gate. 17. Skip the table service restaurants. Counter service meals are less expensive than the sit down table service restaurants (and less time consuming, if you’re pressed for time). They’re just as filling and offer a variety of choices. Gone are the days when counter service meant only burgers and fries. 18. If you do want to try a table service restaurant, do so at lunch. Lunch prices are less expensive than dinner, often for the same menu. 19. Avoid extra luggage costs by bringing your laundry supplies from home and doing laundry once or twice. Rather than packing enough clothes for every day of your trip and running up your luggage costs, bring travel sized laundry detergent and do the wash. No, it’s not a super fun way to spend vacation time, but it saves room in your luggage for souvenirs. Bringing your own detergent is also much cheaper than buying it at WDW or sending your laundry out for Disney to do (which is very expensive). 20. To further lighten the load and reduce your costs, stock up on free samples of shampoo, detergent, toothpaste, deodorant, etc. Sample sizes are usually the same as travel sizes. Rather than buying a bunch of travel sized items, just keep an eye out for free samples and add them to your vacation stash. 21.If you plan to do much beyond Disney’s property, consider getting an Orlando MagicCard (free from the Orlando Visitor’s Bureau). It entitles you to discounts at many Orlando-area restaurants, hotels, and attractions. Similarly, an Entertainment Book for Orlando offers coupons for local restaurants and attractions, plus hotel and car rental discounts. It’s not free (about $30, or less if you buy in the middle of the year) but it might pay for itself if you plan to do a lot beyond Disney’s borders. 22. If you’re staying at a Disney resort, buy the refillable mug. It’s $12, but entitles you to free soda, tea and coffee refills during the length of your stay. It pay for itself in just a few drinks, plus it makes a great souvenir to take home. 23. Get a refrigerator or cooler. This can save you a small fortune. Disney’s moderate and deluxe resorts offer in-room dorm-sized refrigerators at no extra cost. If you stay in a value resort, you can choose to rent one ($10/day), bring one from home (if you drive), or buy or bring a cooler and fill it with ice from the ice machine. The purpose is to give you a place to chill milk, sandwich fixings, etc. to reduce your food costs. Even if you only eat breakfast in your room you’ll save a bunch of money over buying it everyday, especially if you have a large party. Not to mention the time you save by not waiting in line every morning. People can be eating while others are getting ready. 24. And where are you supposed to get the food to put in this cooler or fridge, you ask? If you’re driving, you can bring much of it with you from home. If you drive yourself or rent a car, you can hit the grocery stores or Wal-Mart in town. If you fly, several grocery stores in the area offer grocery delivery to the Disney Resorts. Even if you have to pay a delivery fee, your savings will more than cover it. 25. Consider staying on Disney property. When people think about saving money, they automatically assume that they will do better by staying off property. That’s not necessarily true. Disney offers value priced accommodations and, with discounts, these get pretty attractive price-wise. If you stay off property, you’ll have to pay for parking at the parks ($11/day), call a cab, rely on infrequent shuttles or rent a car. Don’t forget gas costs if you drive yourself. All of these add to your daily totals. On site guests get free parking and transportation to the parks. Plus you’re right there. You don’t have to navigate traffic or waste time at the parking plaza. Certainly, some people do better by staying off property and you should certainly look into it. But remember to factor in the increased transportation costs into your budget. A great deal on an off site hotel can quickly be eaten up by parking fees and gas money. 26. Know that saving at Disney is all about compromise and be willing to give up some of what you want to get more of something else. Certainly, you can opt for the best of everything and to do everything top flight. But you don’t have to do that to have a good time. Rather than staying in a deluxe resort, maybe you can choose a moderate and be just as happy. Instead of ten nights, will seven be sufficient? Maybe you can eat counter service instead of table service. Maybe one good souvenir is better than twenty so-so souvenirs. Every compromise you make frees up money for other stuff. For example, if you stay in that moderate resort, maybe it leaves you with some money left over to have a few character meals. Make a budget and decide where you can compromise to get the number down to an affordable, yet fun number. Visiting Walt Disney World doesn’t have to be an expensive proposition. With a little research and preplanning you can dramatically reduce your costs and stretch your funds (and fun) even further.